This article was published by ComputorEdge , issue #2722, 2009-05-29 , as a feature article, in both their PDF edition (on pages 10-26) and their website. 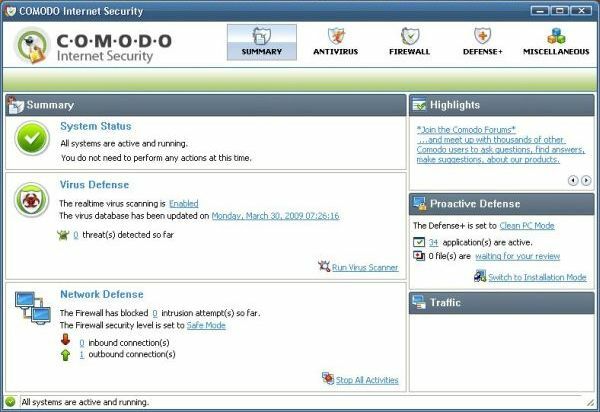 It was cited in Web 2.0 Journal (a publication of SYS-CON Media), 2009-06-05, by Katharine Hadow, as Comodo Internet Security Suite "Notable Newcomer to the Security Arena" . Computer viruses, worms, Trojan horses, and other forms of malware pose just as much a threat now as they did during the 1980s, when personal computers became widespread, and before the advent of the Web. Back then, viruses were typically spread inadvertently from one computer to another via diskettes. In our current era, these virtual viruses have a far more widespread and efficient vector for dissemination: the Internet. People nowadays will send a program or other potentially infected file to dozens of friends in their contact list, without any hesitation and without bothering to check whether or not that file might be the carrier of some electronic nastiness. On the other hand, we have better tools at our disposal for fighting malware. These include dedicated applications for detecting and eradicating viruses and spyware. In the realm of email, more people are switching over to Web-based email services, and the better ones — such as Gmail and Yahoo Mail — will automatically scan all attachments to every message, to confirm that none are infected. For instance, when you attach a file to a message you are composing in Gmail, the service will automatically scan for viruses, and not allow you to send a message with any infected attachments. When you receive a message from someone with attachments, they are scanned when the message is delivered into your inbox, and when you open the message. Other valuable tools include hardware and software firewalls, which not only can prevent outside attackers from accessing your computer's hard drives to infect them with botnet programs, but also block spyware from secretly transmitting your confidential information to outside recipients. Given all of the threats that one faces when connecting to the Internet, and especially when downloading programs, it is no wonder that one of the most popular types of applications nowadays is the security suite, which combines antivirus and firewall functionality, and sometimes other capabilities as well. There are many software vendors out there — some with over a decade of experience battling malware — that offer a wide range of security suites, with various features and price tags. Over the years, several of the commercial (non-free) security suites have sadly become quite bloated, in terms of memory usage, disk space usage, user interface complexity, and asking price. Even worse, they can interfere with other programs, and slow down or even block legitimate actions. As a result, there has been increasing interest in security suites that are lean in size and cost — in other words, powerful yet still affordable. I will explore one such product in this article. Some of the earliest security software vendors, such as Norton and Symantec, have been around for ages, and consequently are well known to most computer users. 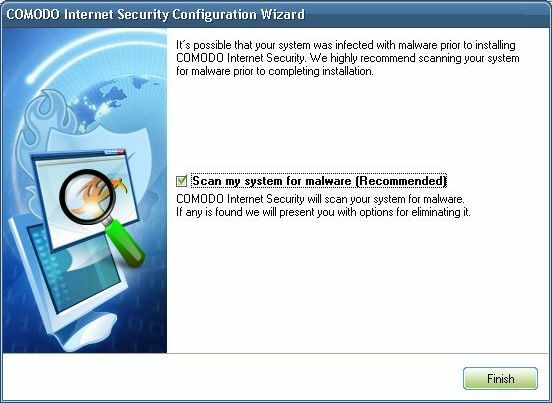 Comodo Security Solutions, a relative newcomer to the malware battle, may not be a household name yet, but for computer users interested in safeguarding their personal data and the integrity of their computers, the firm is worth learning more about. 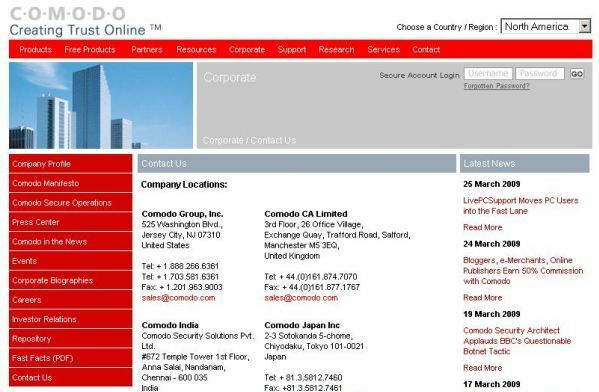 Comodo is headquartered in Jersey City, with offices in India, Israel, Italy, Japan, and the United Kingdom. The company's primary business is providing digital security services to top-level domain name registrants; in other words, they provide the SSL (Secure Socket Layer) certificates that allow an Internet user to send their credit card information to an e-commerce site over an encrypted connection — thereby greatly assisting consumers as they try to purchase goods and services online safely, and in turn assisting Web-based businesses that want to make this possible. 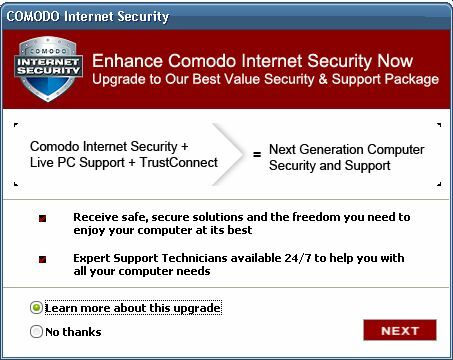 Comodo has over 100,000 customers, in over 100 countries, and over 5000 business partners worldwide. Further information can be obtained on their website. In addition to the aforementioned security certificate services, the company offers products in most major areas of online security: anti-spam, smart cards, access control encryption, digital signatures, USB hubs, secure email messaging, anti-hacking guards, secure Internet faxing, password management, secure online meetings, and more. I will focus on their security suite designed to keep electronic and human attackers away from your computer. 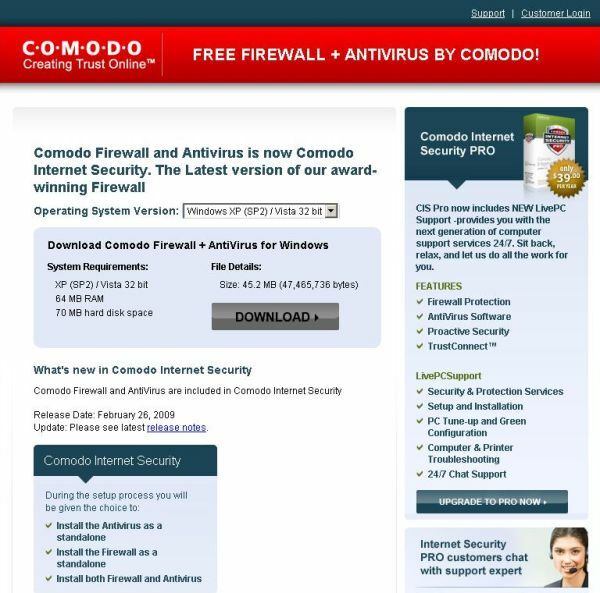 Comodo Internet Security (hereafter CIS) combines both antivirus protection and a software firewall. It comes in two editions, and the Pro edition provides live technical support, for $39 per year. Anyone interested in trying this support, at no charge, can sign up for the 30-day free trial. Both editions support Windows XP (with Security Pack 2 required) and Vista, and come in 32-bit and 64-bit versions. For installation, the application will need at least 70 megabytes (MB) of free space on your hard drive (105 MB for the 64-bit version). When running, it will need at least 64 MB of system memory. To take this security dark horse out for a ride, first go to the CIS page. In the drop-down list box, specify either 32-bit or 64-bit; the former is the default. Then click the large gray "Download" button. Kudos to the company for not requiring a laundry list of personal contact information just to obtain the software — a counterproductive move pursued by a growing number of freeware and shareware vendors nowadays. Save the installation file to your hard drive, and then open the file to begin the process. 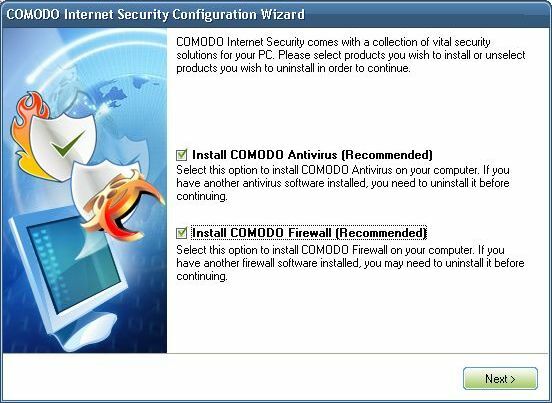 If you have any other software firewall currently installed on your computer (even if it is not running), the CIS installation wizard will alert you, but does not require that the competing program be uninstalled. 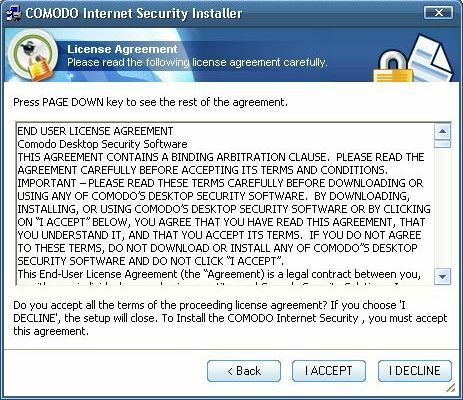 After accepting the license agreement, you can change the installation directory from the default, C:\Program Files\COMODO\COMODO Internet Security, if desired. 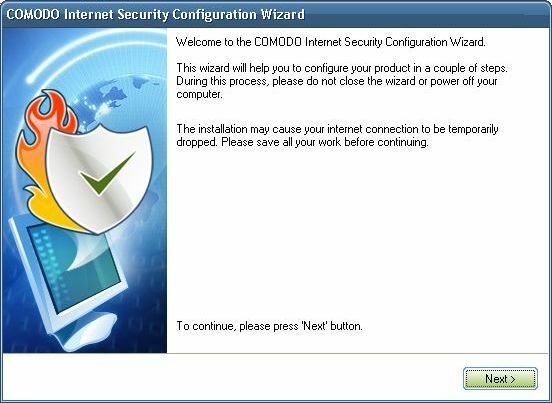 Next, the configuration wizard starts. You have the option of installing the antivirus product, or the firewall, or both. Unless you already have one such type of application installed and working well on your computer, it is best to install both products. 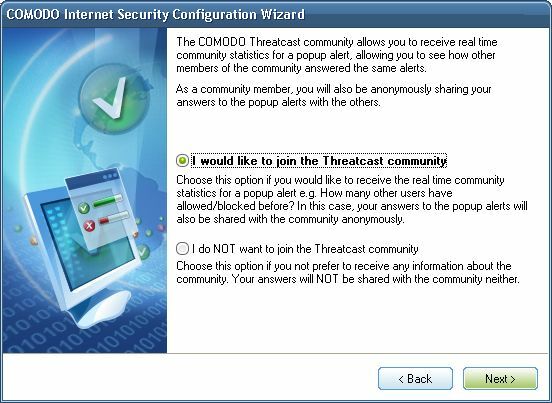 You can then choose whether or not to participate in the Threatcast community, which gathers and reports information about Comodo security usage, anonymously. 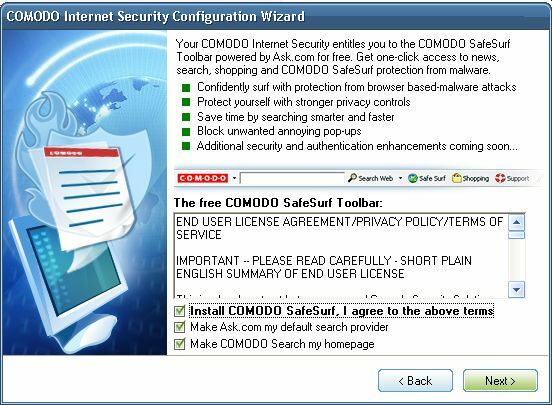 Comodo offers a toolbar that integrates into your Web browser that attempts to detect and report malware-infected websites, block pop-ups, enforce privacy controls, and perform Web searches using Ask.com. You can elect to have the toolbar added to your browsers, but I suspect most users will opt out. The penultimate step is to activate your newly installed copy of CIS. 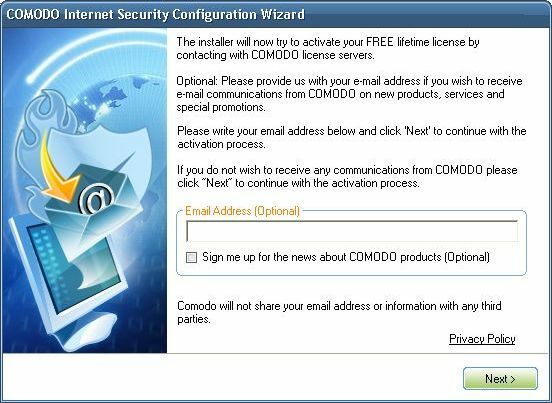 You have the option of providing an email address, in order to receive promotional messages from Comodo. Lastly, the configuration wizard prompts you to perform an initial scan your system; this is highly recommended. 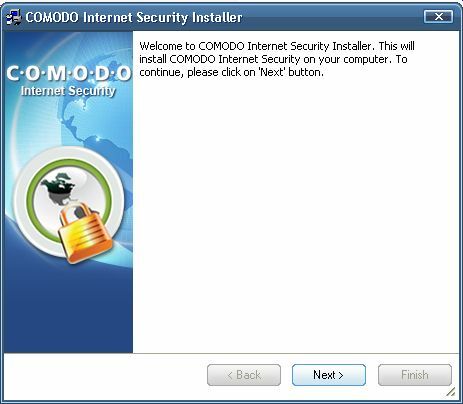 The process begins by checking with the Comodo servers to update the program's virus signatures (think of them as the viruses' digital fingerprints). The scanning process can take some time, depending upon the size and number of the files that CIS has to check. Yet its speed is comparable to that of any other virus or spyware scanning application. For instance, on my system, CIS scanned more than one million files, and it took just under 53 minutes. In terms of the results, CIS discovered some threats that other security programs had missed. 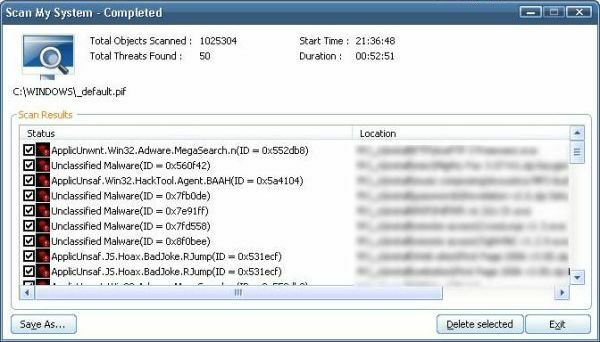 The scanning results dialog box lists the threats discovered, if any, and the file path for each one (they have been intentionally blurred in the image above). The dialog box allows you to delete any of the infected files (CIS does not attempt to clean the files, unlike some antivirus programs). It also has an option to save the list as a text file. An upgrade offer pops up when CIS is first started. This is understandable, as the company certainly has every right to try to monetize this software, which is made available at no cost. All in all, CIS appears to be a quality product. There are only a few obvious areas for improvement. 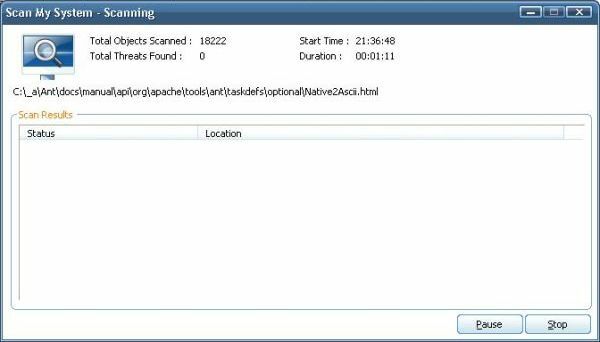 Firstly, the scanning results dialog box should be made resizable, since the threat names can be rather lengthy (e.g., "ApplicUnwnt.Win32.Adware.MegaSearch.n(ID=0x552db8)") and the file paths can be much longer than that. This would be particularly helpful if the user wanted to take a screenshot of the results, without the threat names and file paths being cut off — although one could achieve the same goal using the "Save As…" feature, and then print from the text editor. But for basic readability, the dialog box should be resizable. The second problem is revealed when the user completes the initial scan, and discovers that the installation wizard is still running. The user is prompted to restart the computer. 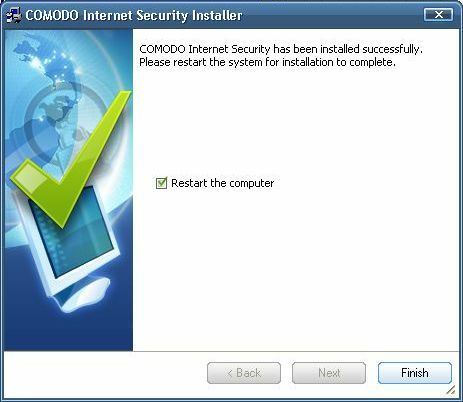 It would be more intuitive if the installation process were to complete prior to the initial scan, and the user instructed to restart the computer, at which time the initial scan would begin — an approach used by many similar programs. Thirdly, when being closed the first time, CIS crashed. Fortunately, no data was lost, which is a risk with crashes in applications such as word processors. In subsequent instances of closing, CIS did not crash; hence, this most likely was a one-off problem. Aside from the aforesaid weaknesses, CIS is a valuable and attractive application. The user interface is neatly laid out, and organized into five sections: Summary; Antivirus, Firewall, Defense+, and Miscellaneous. 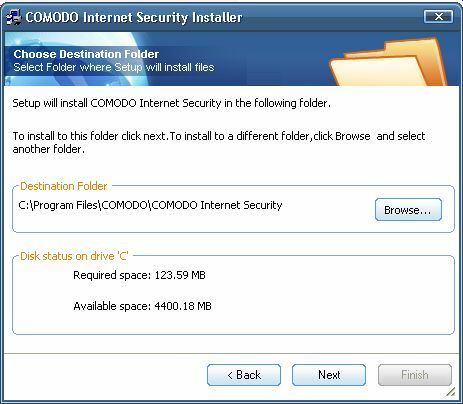 For Windows computer users seeking a high-quality and low-cost security suite to protect their computers from viruses and hackers, Comodo Internet Security is certainly worth trying out. AWESOME!! Thanks so much for the speedy response. You're the best, Michael!